Silk-épil 7 7-561 Wet & Dry epilator with 8 extras incl. bikini styler. 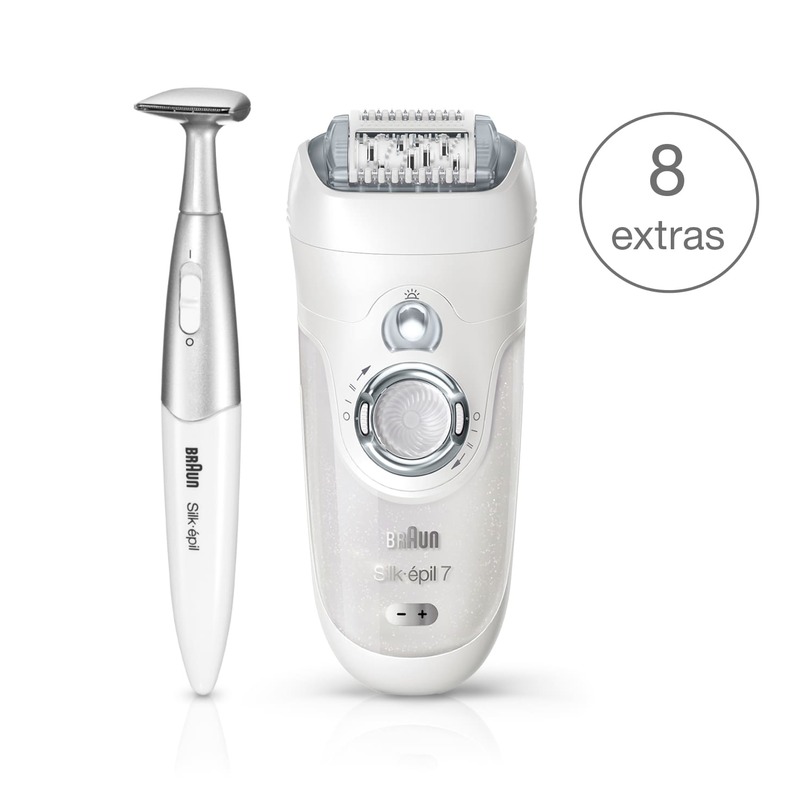 Braun Silk-épil 7 Wet&Dry epilator. Most efficient on short hairs. Virtually painless with repeated use. For an epilation experience as smooth as it gets. Bikini trimmer provides gently hair removal, and avoids irritation and red bumps. For the perfect bikini line without waxing. It's a good product overall, but I was not impressed with how it works on the bikini area. If you want to remove more than just the bikini line, then this is not the product to use. I read so many reviews of all the different epilator's out there, and settled on this one. I guess the search will have to continue, or I'll go back to waxing.